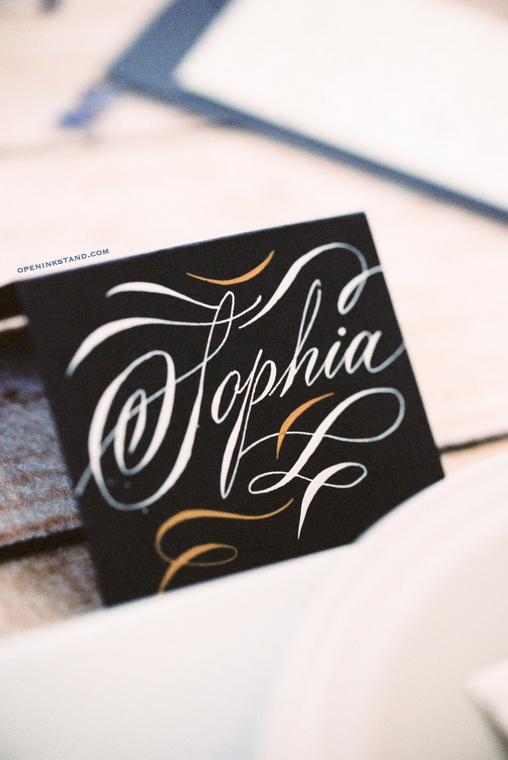 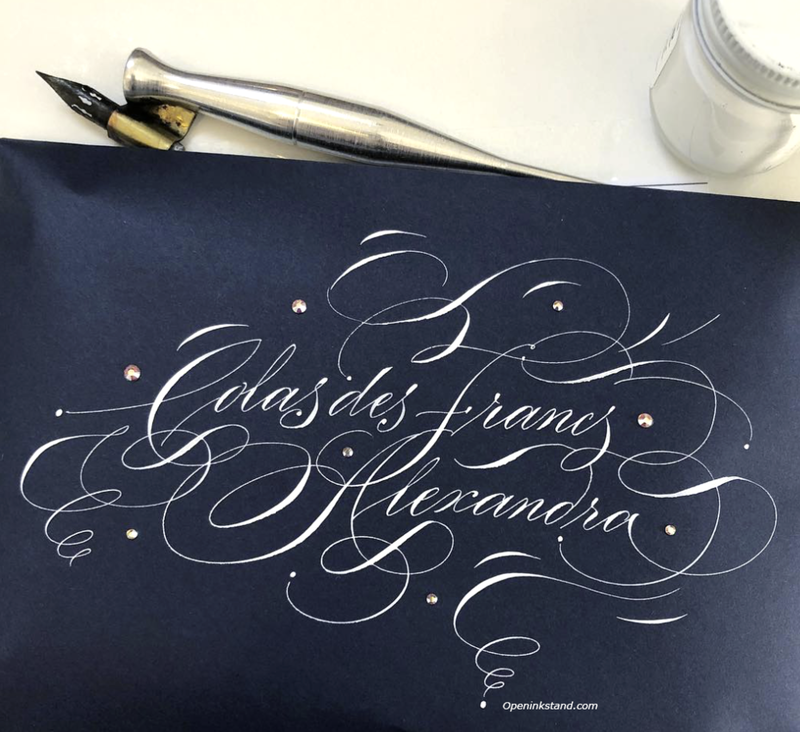 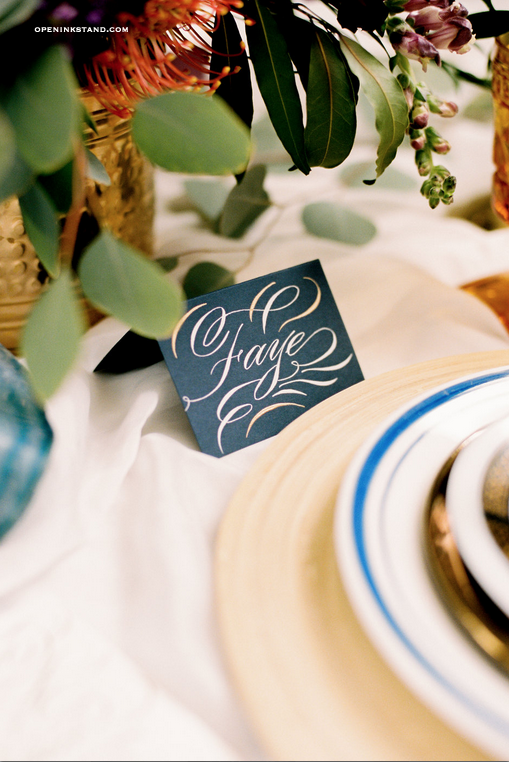 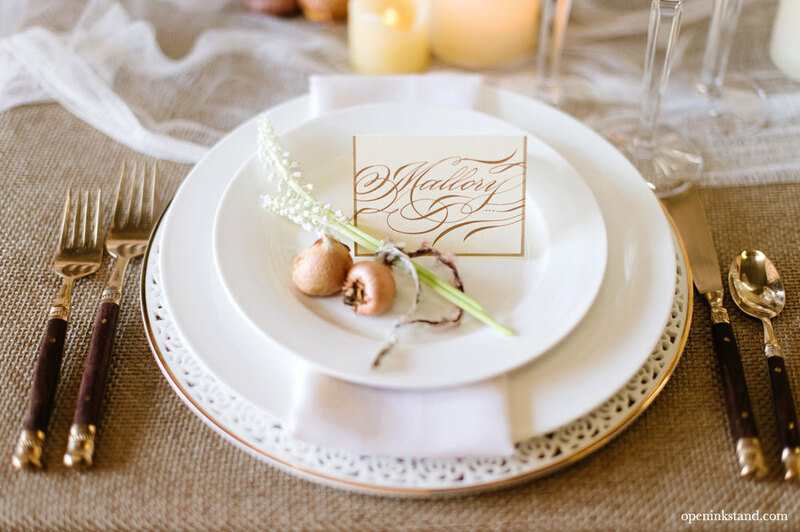 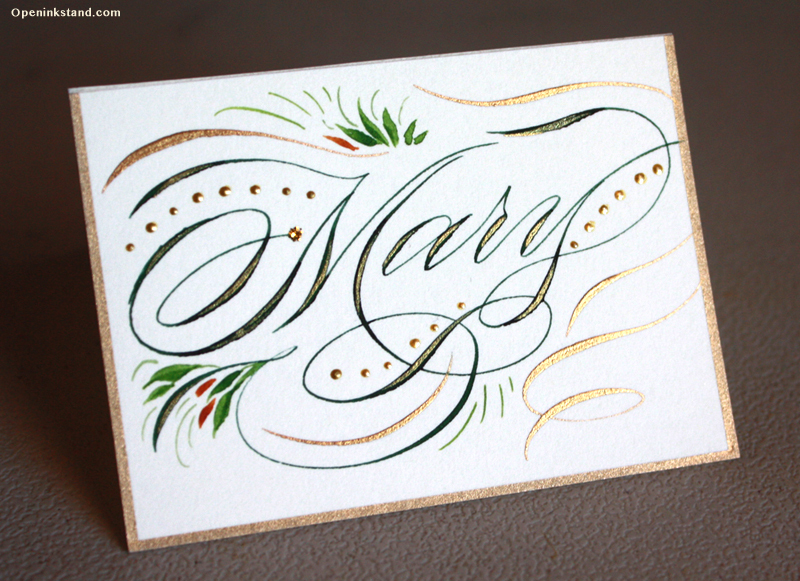 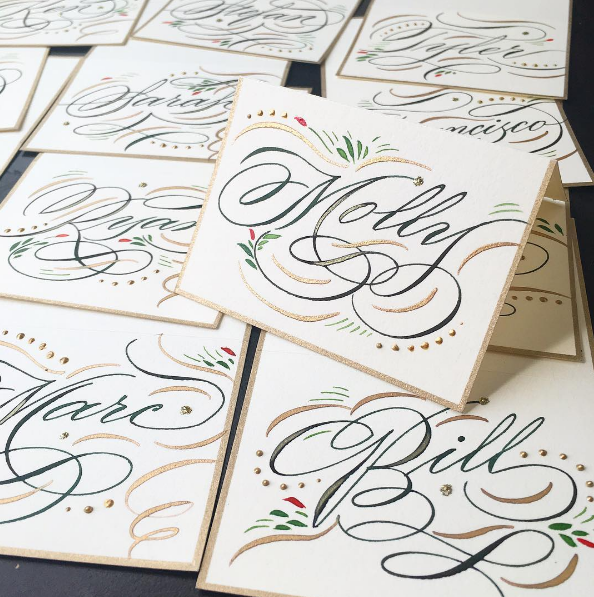 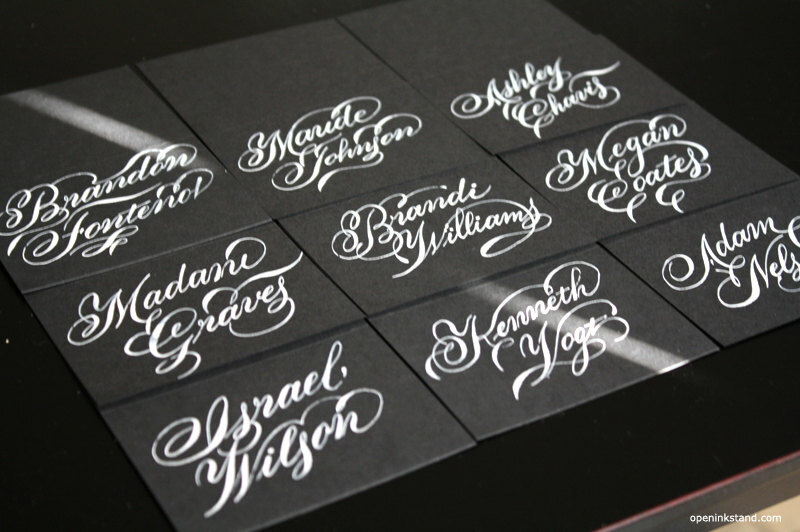 Your seating card calligraphy can be customized to complement your theme or dinner service. 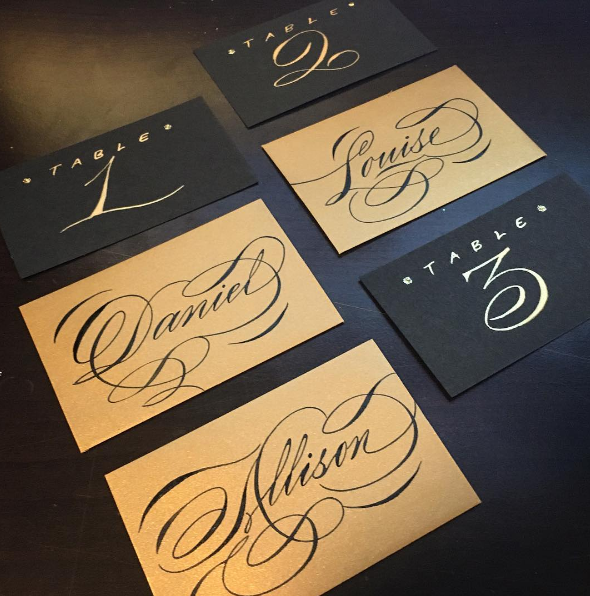 You may supply your own stationery, or use my stock of tented cards in most colors (most popular color is off-white). 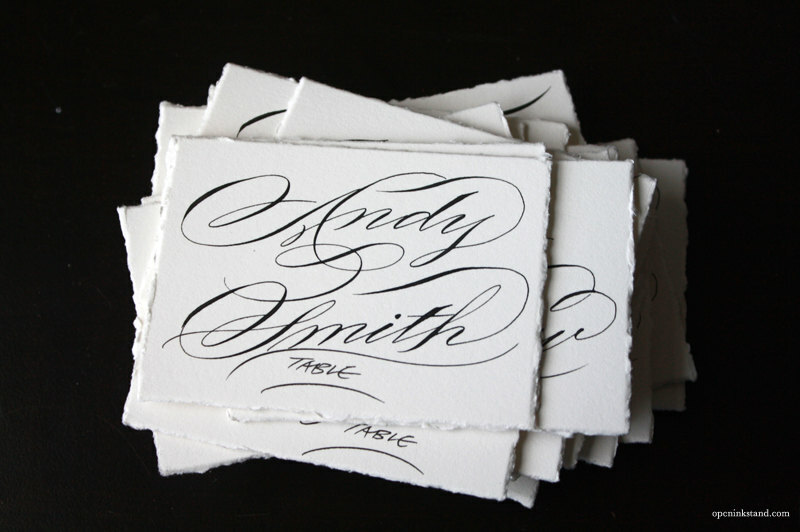 If you are providing your own stationery, be sure to order at least 15% extra stationery in case of spoilage or additions. 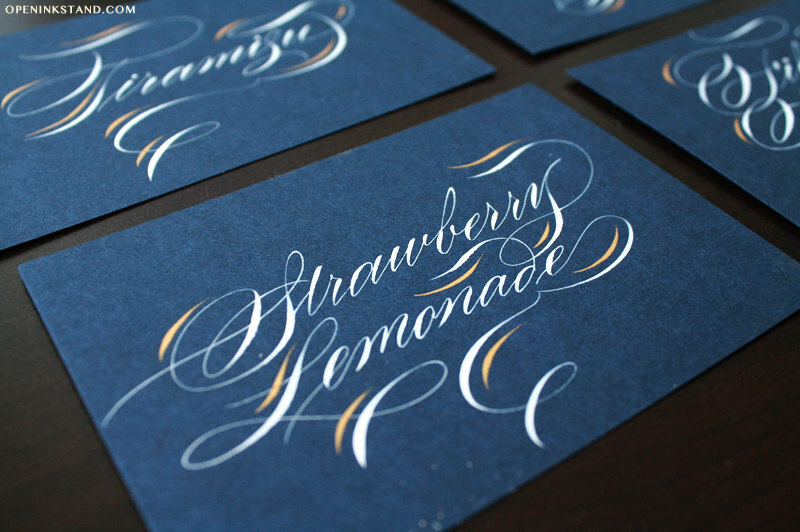 Food and drink signs, gift tags etc.